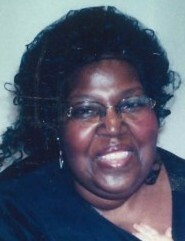 Ms. Evelyn Reaves, 77 passed away March 10, 2019. She was the daughter of Richard Reaves, Sr. and Corrie Reaves, both deceased. Being born in Alamance County, NC, she attended the local schools and graduated from Jordan-Sellars High School. At an early age she joined First Baptist Church Apple Street. While living in North Carolina she worked at Kayser Roth Hosiery Mill. Seeking better employment opportunities and with other relatives, she moved to Baltimore, Maryland with her daughter where she resided until her death. While in Maryland she worked in the banking industry and various other jobs. She attended St. Paul Free Will Baptist Church. She loved her family and friends. Evelyn enjoyed cooking, sewing, shopping and talking on the phone. Survivors include: two children: Terry Reaves (Rosalind) and Karen T. Reaves “Reesa” and grandson, Corey Reaves. She was preceded in death by three siblings: Carrie R. Maynard, Janice R. Baldwin and Richard Reaves, Jr.